Southside is one of the neighborhoods with deep roots in the Portuguese community. Many of our neighbors and friends had their families arrive in Sacramento and found a welcoming here. That community has dispersed across the region but many memories still survive of the center of life that was Southside. 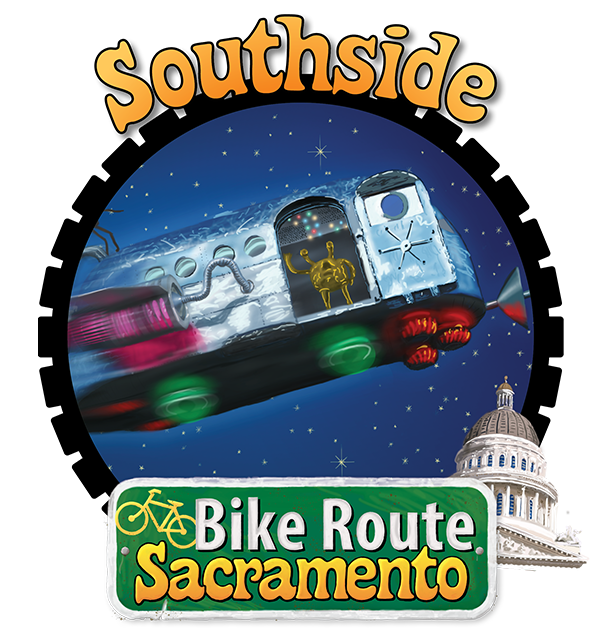 One of the main areas of interest is Southside park which we like to call Space Ship park. The whole park has a beautiful space theme and it is great to watch kids run around and play with it. The playground features a giant solar system and a fantastic spaceship zooming overhead. I thought this would be great image for the neighborhood. Maybe I can add a building that the ship is flying over? One of the aliens from the ship. 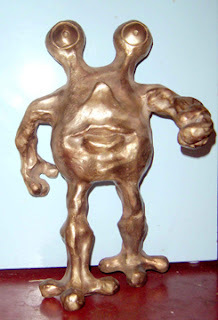 Take me to your leader!? Here is another amazing new piece from Joe for Leonardo Da Vinci Elementary school in Hollywood Park. 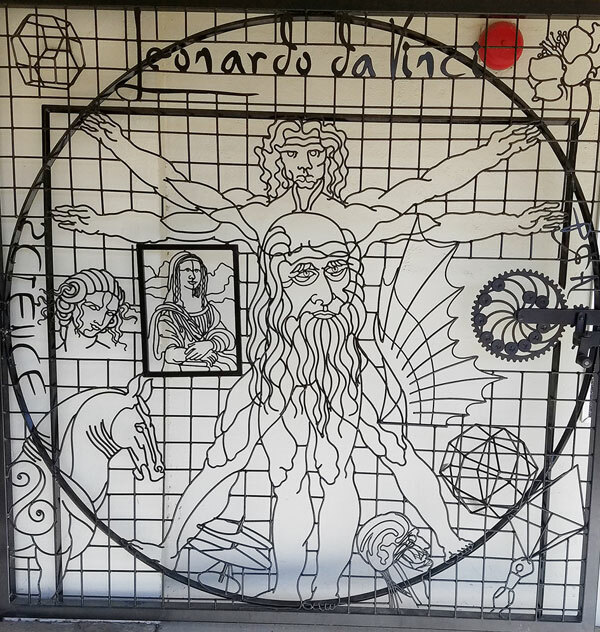 Joe managed to get so many Da Vinci highlights into this one piece - try to find them all. It does not stop there but also continues into a metal fence with more fun.